Rent a top quality nacho cheese machine for your next party. Our nacho cheese machines come preset to dispense 3 oz. of warm nacho cheese with one single push of the button. Cost of nacho cheese machine rentals is $89.00. This includes 40 nacho trays and over 6 pounds of nacho cheese, delivery, setup, pickup and cleaning. Only $20.00 for each additional 40 servings of nacho cheese. Add a chip warmer for only 10.00. 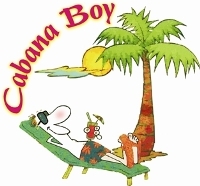 Cabana Boy nacho cheese machine rentals offers delivery to Newbury Park, Thousand Oaks, Camarillo, Simi Valley, Moorpark, Westlake Village, Agoura Hills, Oak Park, Oxnard, Calabasas, Conejo Valley, Ventura County, Canoga Park, Woodland Hills and West Hills, Chatsworth, Granada Hills, Porter Ranch, Northridge.